The system has proved extremely efficient especially when the sludge is recycled to the production and when the quality of waste water varies. smaller devices can be constructed in portable or pilot version. 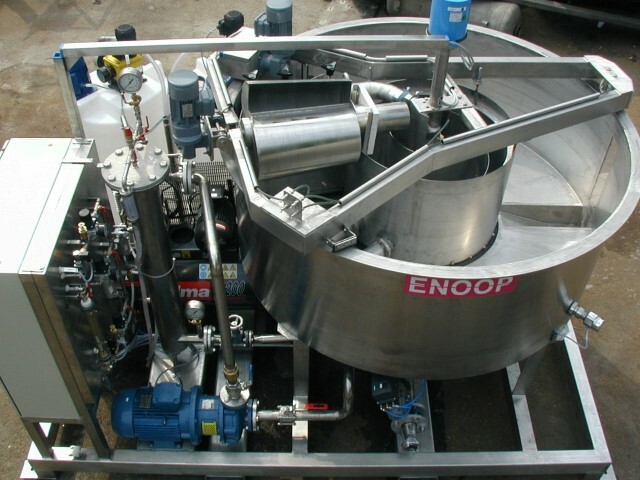 The continuous flotation clarifying plant uses flotation (by air bubbles) and settling (precipitation of solid particles to the bottom of the tank) techniques to eliminate solid particles. The insoluble solid particles are thus removed from water. By the use of suitable auxiliary chemicals some in water dissolved substances can be removed as well. This is particularly useful for the treatment of potable water. The modern flotation plants are constructed so as to guarantee the best contact of waste water with air bubbles. The most commonly used procedure is the saturating in side current. In this procedure a portion of the clarified water is conveyed under pressure into a special tank – the saturator – into which air is injected. The air pressure must be a little higher than the pressure of the water in the saturator. Air is injected into water through plastic membranes with large surfaces to achieve quick mixing of air and water. At high pressure more air is dissolved in water than at atmospheric pressure. The raw water is mixed under pressure with aerated water before it is conveyed into the flotation tank. When the mixture reaches the flotation tank the pressure drops to the atmospheric pressure and the suspended particles in the water start to attach to air bubbles and to float to the surface. The speed of separation is approx 0,25m/min, which is ten times faster than in the classical gravitation precipitator. The mixture of raw water and aerated water is introduced into the flotation tank through a centrally positioned rotating distributor. The velocity of the water flow equals the velocity of the movable distributor that travels in the opposite direction. The result is zero velocity. The quiescent state of water in the tank enables the air bubbles to attach the suspended particles making them specifically lighter and enabling them to float to the surface. The clarified water collects in the lower part of the flotation tank, passes into the central clean part of the tank and from there it is drained out. 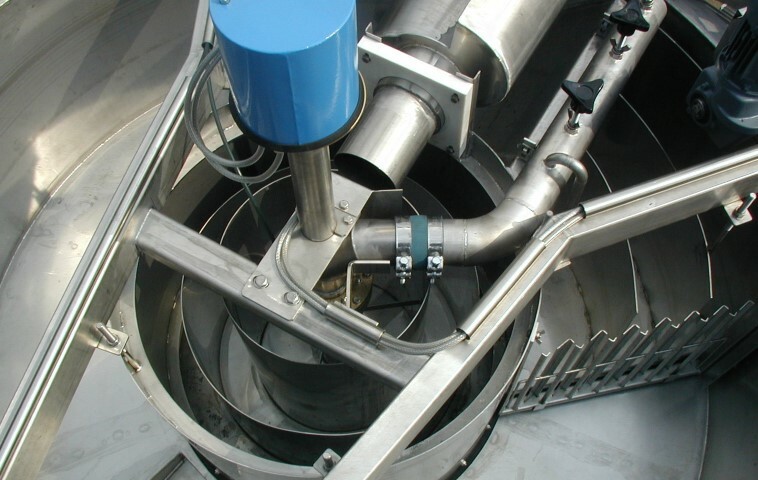 The solid particles that settle on the bottom of the tank are swept by the rotating distributor into the sattled sludge sump and cyclically removed. After the flotation process has been completed the thick layer of floated sludge is scooped from the surface of the water. 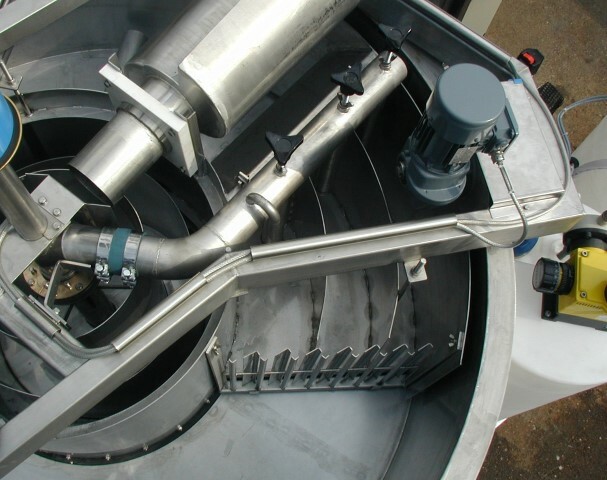 A special scoop attached to the rotating distributor removes this sludge and discharges it out of the tank. The immediate removal of the floating sludge prevents the sludge to sink again and contaminate the already clarified water. The floated sludge contains 3-4% of dry substance. Such sludge is suitable for immediate recycling. When further thickening is required, the costs of condensation are considerably lower.